The Short Version: Jake Barnes and a group of expats in Paris, including Lady Brett Ashley (the woman he loves), tumble around Paris in the mid 1920s before taking a trip south into Spain for the summer. They arrive in Pamplona just in time for the Fiesta de San Fermin, where Brett falls for a bullfighter and several friendships are ruined. Where better to start, of course, than The Sun Also Rises? His first novel and the one that I’m incidentally the most familiar with, having seen Elevator Repair Service’s transcendent edit/adaptation of the novel, The Select (The Sun Also Rises), several years ago at NYTW. I knew about the bullfighting, about the drinking, about the aching beauty of the last lines… and when I started actually reading the novel, I honestly wondered if I had been misled as to the greatness of Mr. Hemingway. Don’t worry, I got sorted out – but the beginning is rough going. Hemingway’s unshowy prose (which, now that I think of it, is actually kind of showy in just how unshowy it is, but that’s for later consideration) lends the first chunk of the novel an almost boring repetitiveness: Jake, Cohn, Brett, and the whole lot of them are just toddling around Paris, drinking, repressing their feelings, and otherwise being pretty ordinary. It’s that clipped prose that does it, I think, making these early moments seem almost unimportant because of how much has been excised from the storytelling. Characters order a drink… and in the next sentence they’re leaving, as though no time at all has passed. Except that, obviously, it has – and the question of what went unreported (to the reader) lingered, for me, throughout the early parts of this novel. Even as our narrator, Jake Barnes, gives us great detail about other characters – think of the opening of the novel, where he paints the picture that will never quite change for the reader of Robert Cohn (“…was once middleweight boxing champion of Princeton. Do not think that I am very much impressed by that…”) – we’re also only given what he wants us to know. It’s Hemingway’s journalism background, I think, that delivers this sensation of knowing only what the writer perceives to be the ‘important’ things and it does, I have to admit, take a little getting used to. The jarring thing, for me, is how the book shifts once the action moves to Spain and Pamplona in particular. That journalistic quality to the writing gains life when it has something to report on, something more than moderately-well-to-do white people swanning about both sides of the Seine. Hemingway’s interest is clearly piqued by just about everything around the festival but also just about people who are other than his circle. Think about the sequence where Barnes and Bill are taking the bus out to go fish and the way Hemingway lingers on these little moments, these little interactions with the Basques and the other riders; he’s attempting to report to his readers, to give them a sense of life outside of their ken. Yes, there’s a little bit of uncomfortable imperial attitude to be found, but there’s also a genuine interest in showing something ‘new’. The festival itself, of course, is where everything kicks into high gear. The plot of the story really bubbles to the surface – the love many-sided-shape (but how many sides, who is to say) around Lady Brett and the odd rivalry/friendship of Cohn and Barnes – but also Hemingway wants us to know all that we possibly can about bullfighting and the fiesta. And as emotions boil to a high point, the detached storytelling keeps us from being too invested in any particular outcome while also recognizing the heated intensity of the moment, like watching a shouting fight play out as you pass on the street. You know that people are emotionally going through it but you, the observer, get to pass by and feel all of the emotions on display as opposed to taking one side or the other. And I do think I’m giving his emotional impact short shrift here: the end of this novel, with Jake dropping everything to go to Brett, is… it’s nothing short of devastating. All that emotional remove that tries to keep the story at a distance fails, just straight-up fails, in the face of “Now go and bring her back. And sign the wire with love. That was it all right.” I’m not sure how he did it, but he slipped past my defenses and landed one hell of a knockout blow in the closing round. Oddly enough, this paragraph is compelling even though it feels, to me anyway, like an ungodly mess. It’s a lot of telling, with zero showing – but the sort of telling that doesn’t even want to describe the scene, just give you a shrug and a “well, it was a fiesta” as though that explains it all. 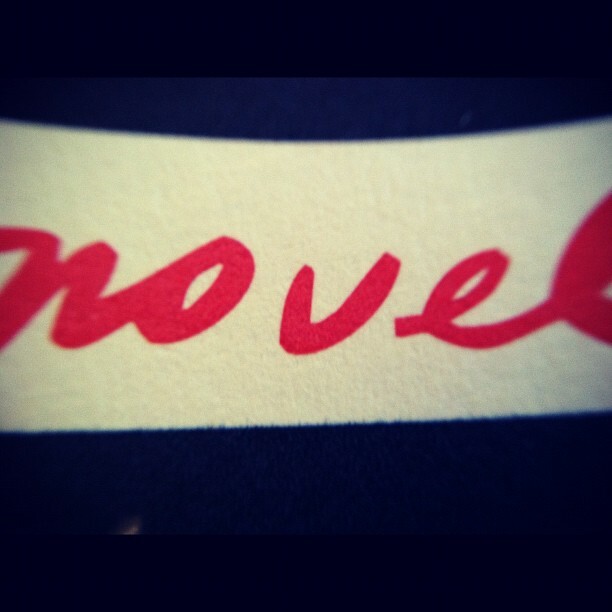 And yet, and yet… There’s something about the blankness, something about that very telling that makes the novel spark. “It was a fiesta and it went on for seven days” should be an infuriating end to that paragraph and yet it somehow pulls the whole thing neatly together. It’s not the style of writing that I practice and I’m not even sure I can say that I like it, not so early in my exploration of Papa’s work… but damned if I’m not intrigued. Rating: 4 out of 5. For all the eyebrow-raised distrust of the novel I had at the beginning, not particularly being interested in the moment to read another novel of expats wandering about their not-terribly-exciting lives, I fell for it hard by the end. The second half of the novel is as masterful as everybody says and the ending lands doubly hard for the fact that Hemingway’s writing keeps the reader at an emotional remove throughout nearly the entire book, only to slip a knockout past you at the last moment. This was the place to start with Hemingway, where he started too. I’m intrigued to see how this all develops over the rest of the year. Hemingway and Faulkner are two gaps in my reading. I call it The Faulkingway Blind Spot. I’ve read them, yes, and took a grad class on modernism, but at the time I found it so boring all I could remember was war, cheating on your best girl at home, getting the clap, and dying a tragic death. Of course, not every character experienced all four or in that order!